Happy New Year, Geeks! Belatedly, anyway. There are a few patch notes announcements regarding the future of Skill Up Skillet; step lively and listen! Removed poll from right sidebar. To those who voted, thanks! Blog header image altered to reflect new posting schedule. Was I on drugs when I made this? Skill Up Skillet’s October has been the busiest yet! With five, count ’em, FIVE Nightmare Before Christmas themed recipes, a couple of fandom tea reviews from CuppaGeek, and a Walking Dead Bloody Brain Jello Shot recipe with a bang… needless to say you’ll have plenty of fare to choose from for this year’s festivities. We’ve even been interviewed and reviewed by two different sites! Let’s do a Halloween Round Up! 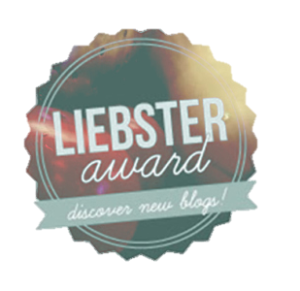 Blogging since 2014, Leisel is just awesome and I love that she makes it fun! Skill Up Skillet also received a favorable review from Jason of Opinionated Man. You can read his review HERE. 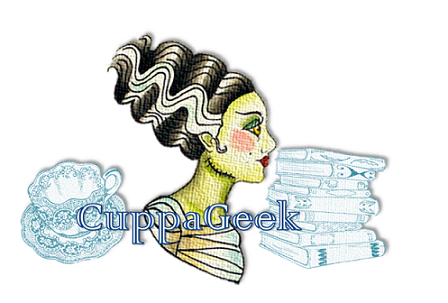 We also teamed up with Nichole of CuppaGeek for a couple of Halloween-y fandom tea reviews. Nichole does not disappoint! Check out her review of Walking Dead fandom tea Kiss My Crossbow and a Nightmare Before Christmas inspired Pumpkin King Tea. Without further ado, on to the first Skill Up Skillet Halloween Round Up! We’re Gonna Need a Bigger Shelf: The Starlight Blogger Award! Believe it or not, I actually keep a schedule for my blog. I attend Linky Parties and the WP Community Pool on Mondays, promote and create recipes on Tuesdays and Wednesdays, post and manage social media stuff on Thursdays (which usually carries over to Fridays), attend more Linky Parties and promote on Fridays, then take Saturday and Sunday to rest. Rest. HA! The hell is that, anyway? This is significant because, when I see a new email notification for a blog comment or message over the weekend, well, it’s a good day. And sometimes I’m even surprised with a new award nomination. 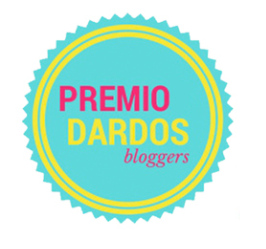 Today I’d like to share with you my fifth award nomination. 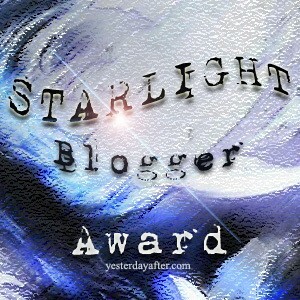 I present to you: The Starlight Blogger Award! I was nominated for this award by Fabiola of My Heart of Mexico just the other day. Since it’s no longer September From Hell I was happy to accept the award immediately. Thanks Fabiola! Fabiola writes an authentic Mexican cooking blog sprinkled with articles chronicling life in Mexico. Reading through her blog is an eye-opening experience which is not to be missed! Again, my thanks to you. 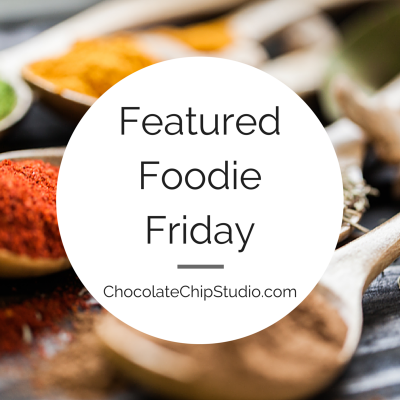 Vote for November’s Featured Recipe NOW! It’s about that time again, geeks. Time to vote! And no, I don’t mean casting a ballot for the lesser of two evils to run a country or some equally depressing thing; I’m talking about voting for November’s Featured Recipe on Skill Up Skillet! Are you feeling some Legend of Zelda? I’m feeling some Legend of Zelda. Like last time, I’m giving you three choices: Chocolate Peanut Butter Deku Nuts, Deku Shield Brownies, or Bombchu Lemon Bars. They all sound pretty amazing, right? Voting will be held starting today through the month of October. You can vote once a week, so make it count, yeah? Tell all your friends! Try to rig the vote! I want to see as many votes cast as possible. STAY TUNED FOR A MONTH-LONG NIGHTMARE BEFORE CHRISTMAS TEA PARTY COLLABORATION WITH NICHOLE OF CUPPAGEEK! Remember, cooking IRL doesn’t have to be a Feat of Strength! 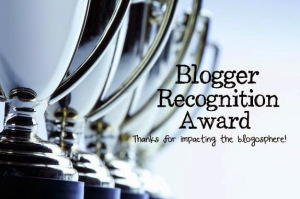 Stop The Presses: The Blogger Recognition Award! From L to R: Great Ball, Master Ball, Ultra Ball. If you enjoy living and wish to attempt this, decorate with icing only. Candy Melts on top of more Candy Melts are the devil. 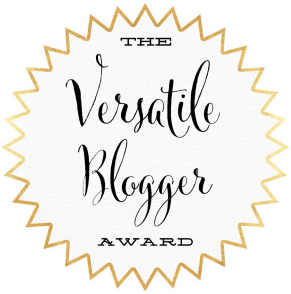 I was nominated at the end of August by blogger Yen of Little Calico’s Journal. Thanks, Yen! Yen writes book reviews, poetry… a little bit of everything, really. I love her writing style. Stop by for a visit, maybe you’ll like her too. I swore I’d get around to writing this eventually; now seemed like a good time. Ready? Let’s go. Need some extra exposure for your blog? Who doesn’t! Go see Danny over at Dream Big Dream Often for a little hand up. Cheers! Today as is my usual routine on Meet and Greet weekends, I will be reblogging posts. 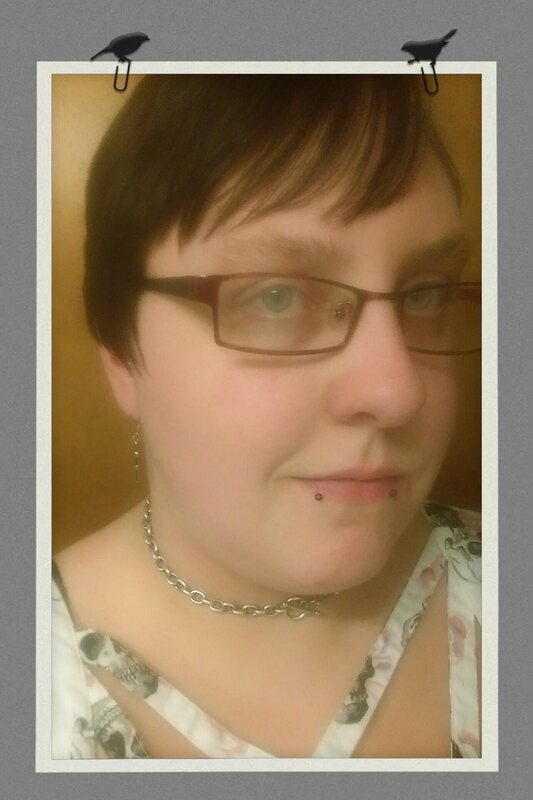 Please leave the link to your post in the comments and I will review for family-friendly content and then reblog. 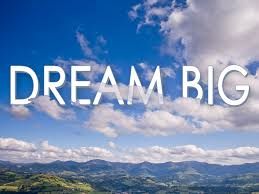 If you leave a link please reblog this post as a “thank you” to Dream Big. It is appreciated! Hope everyone has a great Friday. Because I got an unacceptably late start on today’s cake, you’re getting the Q&A sesh now. So, hi. I’m Leisel, creator of the geeky food blog Skill Up Skillet, and today I am 26 years old. In last week’s post I gave you, Probably Impatient Reader, the opportunity to ask me questions about gaming, baking, blogging, whatever. Some of the questions are surprising, to say the least! So while I’m waiting on the first part of the whipped cream frosting to cool, let’s do this. Obligatory Birthday Selfie, or Something Like That. Yes, that is a skull print dress. No, I do not care what you think about my skull print dress. A: That’s almost impossibly hard to answer. Can we do a top 5? Is that a thing? In no particular order: Skyrim (PS/PC), Sonic the Hedgehog (Sega), World of Warcraft (PC), Hearthstone (PC/mobile), and Twisted Metal 3 (PS). I don’t do XBox, personally. A: My all time favorite food would be sushi. Just about any kind, really. I rarely meet seafood I don’t like. Not too keen on the giant caviar rolls, though – too salty! A close second would be tiramisu. Q: What is your favorite or least favorite sleeping position? A: I prefer to sleep on my side, slightly curled, back-to-back with The Boy. I hate sleeping on my back. Q: How do you decide which ingredients and method you will use in each recipe? I mean, how do you decide between marshmallows or cake for a minion? A: Sometimes it’s pretty self explanatory (like an actual omelette for the Omelette du Fromage or working off the IndieBox recipe card for the World’s Best Enchiladas). Other times try to take what feels right and work with it. I like to refer to the process as “Organic Steps”. Like, Ryuk (the shinigami) from Death Note loves apples, so Death Note Apples were an easy evolution of this idea. It’s harder to explain the ones that seem to come from left field but I do a lot of daydreaming and a little research a la Google. Sometimes Pinterest is useful, but for the most part I just don’t get it. The Boy and I also collaborate on what will and what won’t work. That’s prevented a few catastrophes. There are those few fan requests, too, like Half-Life Headcrab Crab Cakes and Toad Bombe Cakes. The Minion Trifle was an ever changing idea from the start. It was going to be one giant trifle because it was going to a party but the marshmallow eyes were a last minute hunch. They were originally going to be made from white Candy Melts on the side of the dish, but they looked small and awkward. I also considered cutting the marshmallows in half and sticking them in the yellow part of the trifle but ultimately ruled it out because I didn’t want anything to make them look messy. In the end I just decorated two marshmallows and plunked them on top. It just felt right, y’know? Whew. Q: When you make these recipes how easy is it to substitute certain ingredients? Like say I’m not a yellow cake fan, could I substitute it for say red velvet with out worrying about it turning out properly? A: Sometimes there can be a bit of leeway with ingredients; other times, no. If you check out the comments for the HP Snitches, there was a lot of substitution conversation due to lack of availability for certain ingredients. Where there’s a will, there’s a way. All it takes is a little research and human ingenuity. I’m not touching that red velvet/ yellow cake substitution idea, though. Unfortunately, some things just aren’t going to work and in this case color’s too much of a factor. You could substitute white cake and add yellow coloring, though. Q: Though this isn’t so much a question as it is a request: mention one lil’ confession on your birthday post! A: 70% of what you see here is me having no clue whatsoever, but doing it anyway. Crab cakes? Well, I know how to reheat fish sticks. Fondant? How hard can it be? Chocolate and candy designs? That’s what sandwich bags and molds are for, right? It’s been a blast learning new things and I’m excited for what I have planned for the future. Now, if you’ll excuse me, I have whipped cream frosting to put together! See you in the next post.